Like it or not, the C word is being adopted by larger brewers – sometimes tentatively and with caution (“oh, did we say craft-brewed? We didn’t realise, we’re just so laid back and chillaxed over here at Fusty McOldtimey Ales”), other times enthusiastically, or sometimes misguidedly. The larger of the UK’s regional brewers seem more comfortable with its use, at least as a marketing term. It’s often used to denote a separate range of beers brewed with more thought to experimentation and flavour. The success and credibility of these ranges are undoubtedly linked. Batemans, that windmilled, cask ale stalwart, might seem a little late to this party, but clearly a lot of thought has gone into what is a very stark rebranding for this traditional brewer. As far as they’re concerned, they are a craft brewer, have been and always will be, it’s just time that everyone was made fully aware of the fact. To prove it, they are launching range after range of new beers, with one seasonal range inspired by biscuits. Not single variety hops or spirit barrels. 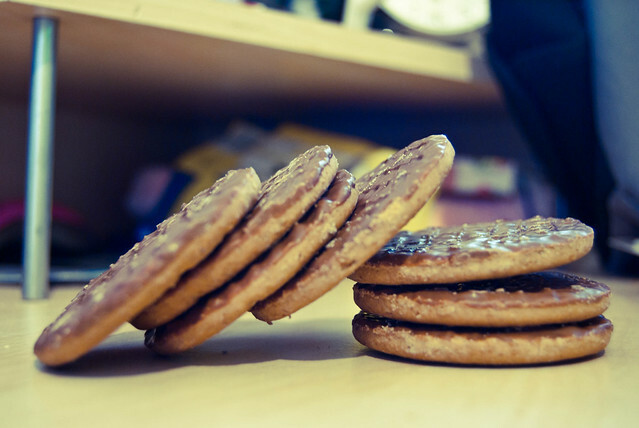 Biscuits. Is this a down-to-earth, craft ‘reboot’ of a traditional brewer, or just something rather odd? The launch of the rebranding was recently held at the Folly in the City of London, where I got to say hello to the leading family members of Batemans, Jaclyn and Stuart, as well as other folk from the brewery and some familiar faces from the beer writing community. There were some interesting messages to be taken from the launch, and it took some pondering to really understand it all. On the one hand, we have a CAMRA poster-brewery, one that has survived threats to its ownership, had ups and downs – and survived by doing things broadly the same way – suddenly grasping the appellation of ‘craft’ with both hands. There was even mention of their beers going into key kegs to help get it outside of its normal distribution zone. This all suggests, at least to some extent, a forward-thinking attitude. There seem to be some missteps, though. Whilst the Sovereign Range of Bohemian Brews are niche, sweet-flavoured beers in 330ml packaging that’s smart and modern whilst carefully conveying traditional roots, the rebranding of the core beer range is less aesthetically pleasing. A three-colour stripe theme, with a logo of a artfully drawn windmill, seems more ‘health food’ than ‘craft beer’. The red and white stripes on one label remind me of toothpaste. Yet, it isn’t wholly unlikeable, and it should be noted that the beer itself hasn’t changed. The little tags assuring drinkers of each beer’s extended maturation time are eye-catching, and get the message of ‘specialness’ across. There was also a bit of a confusing doublethink on the idea of ‘craft’, claiming defiantly that they are as craft as it gets, and wanting us all to know that, whilst also seeming to shrug off the idea of claiming to be craft for craft’s sake. We are craft, but talking about what craft beer is is a waste of time. In Stuart Bateman’s view, ‘you don’t need to have a ponytail and bandana to be a craft brewer’. Damn those craft brewers with their ponytails and bandanas and Pacman video games. You’d think an easier jibe would be beards/tattoos. Some might see Stuart’s ‘joke’ about craft brewers as a misunderstanding of the craft beer scene, but I see it more as a kind of cheerful innocence. 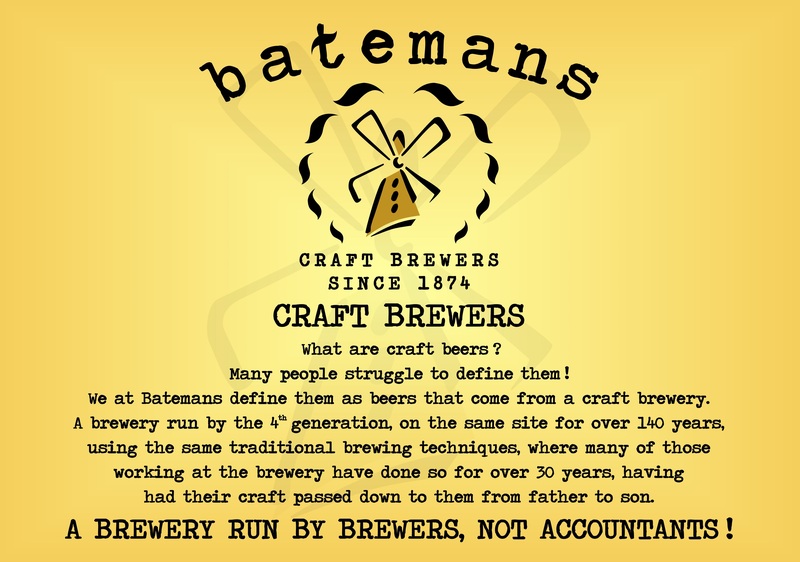 Batemans operate in a vacuum to some extent, free of any of these upstart ‘craft’ types. Their beers are more likely to sit alongside Doom Bar, Greene King and the more traditional Yorkshire micros. What is refreshing is that they do not seem to associate ‘craft’ or ‘innovation’ exclusively with a sudden fascination with hops. For good or ill, they have concentrated on brewing beers that are defined by sweetness, in all its shades. That might sound limiting, but they’re brewing beers that other people aren’t, and as a result come across as more genuine than, say, Greene King’s craft range. More importantly, the beers that are called ‘Hazelnut Brownie’ and ‘Mocha Amaretto’ and ‘Chocolate Biscuit’ taste exactly as the label describes them. Most beers passing themselves off as chocolate stouts these days can’t even do that. My chief concern is that Batemans have too many ranges. A core range, a Bohemian Brews range, a Biscuit Barrel seasonal range, plus a new Salem Bridge range to boot. If they have the capacity and ideas to keep all of those balls in the air, I will be very impressed. I would be more impressed if they stuck to one solid ‘craft’ range alongside their traditional output, poured all of that creativity into it, and got those beers in the best pubs and bars in the country. As I mentioned earlier, when brewers like these do a separate ‘craft’ range, credibility and success go together. Whilst the rebranding is motivated by good intentions, Batemans could be gambling the credibility they already have for credibility they cannot easily obtain. Hopefully, they will broaden their appeal, and not accidentally narrow it. Batemans sent attendees to the launch home with a goody bag of glassware, Lincolnshire cheese and plumbread, a stick of rock, some other odds and ends, and a beer or two. 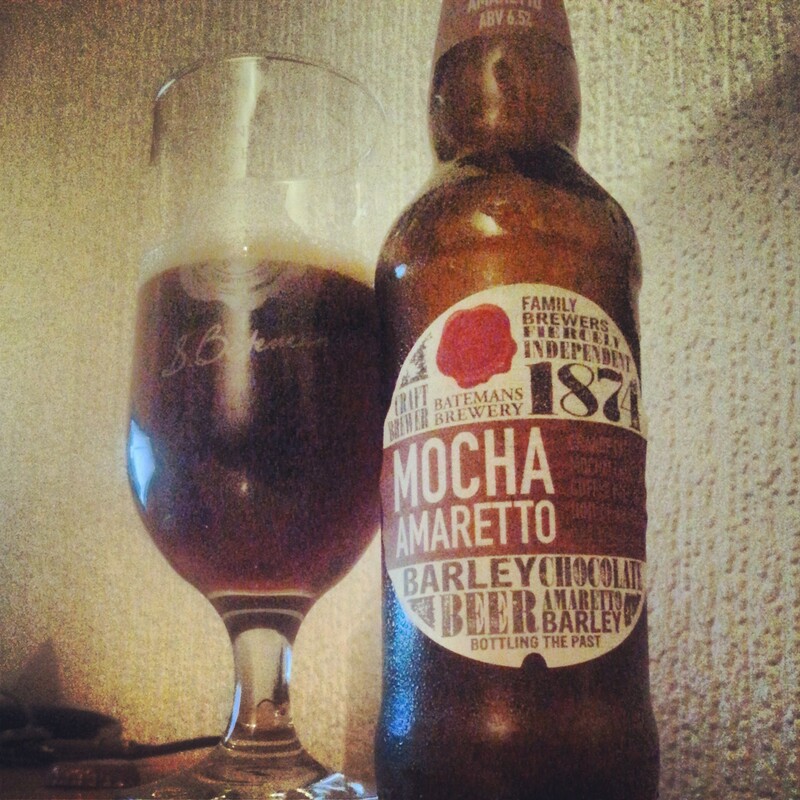 One was a 140th anniversary beer, and I selected the Mocha Amaretto below to review as an example of the Sovereign Range of Bohemian Brews. A dark, mahogany-coloured ale. Pours with a lively head that calms down quickly to a thin collar. Displaying a slight and mischievous ruby glow when held to the light, Mocha Amaretto could, fittingly, pass for coffee at a glance. The name of this beer is spelled out in capitals on the label, and its aroma is similarly emphatic: marzipan and toffee, intensified by boozy notes of chocolate liqueur. A creamy coffee character tries to make itself known, but the amaretto is the dominant aspect. On the palate the beer moves quickly, hitting the key targets on the sweet section of your palate with chocolate and marzipan, delivering a slick, nutty, chewable texture across the tongue, before sliding off on a wave of caramel. The coffee is present as a roasted bitterness in the finish, but it’s indulgently sweet overall. A touch more roast would balance it out, but then this beer isn’t really about ‘balance’. It’s a good example of the whole range. This isn’t just ‘a beer that tastes a bit like mocha and amaretto’, this is a Mocha Amaretto beer in a very vivid, uncompromising way. In that regard, it’s an unquestionable success. A four-pack of these appeared at my house yesterday, and I must say that although I like the look of the labels on the bottles, I really, really dislike the pumpclips; for a company of Bateman’s size and stature they look like one of the brewers has knocked them up at the weekend on clip art. You can’t see the words, either! I feel like it’s a bit of an own goal; and that we may have even lost a little bit of Bateman’s in the translation – put the XB pumpclip against the old one and you’ll see what I mean. Not tried the beers yet though – and I must admit they do sound interesting at least. Regards the pumpclips, you’re basically right. Stuart said they didn’t use an agency, it was all them. They could be about to learn a very, very unforgiving lesson about that. Ah! That’s a bit of a premonition, then! 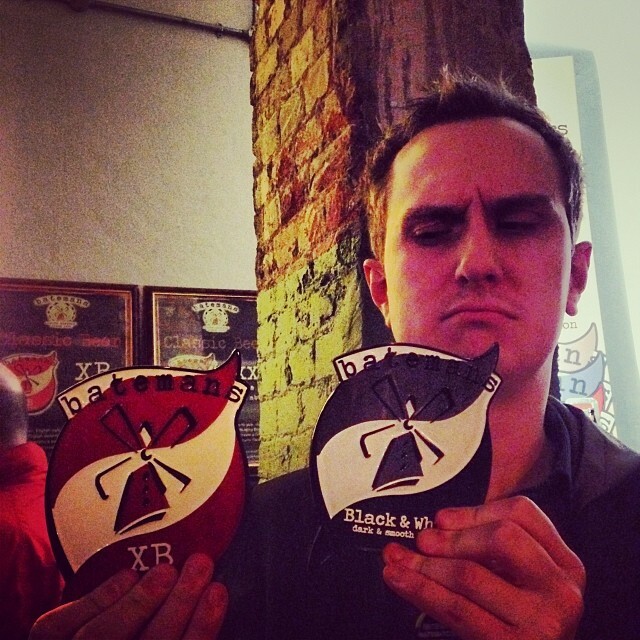 I had another look through the booklet I got with the beers and yep…the new pumpclips are really bad. It’s a shame for a company the size of Bateman’s….I kind of feel like they’ve wiped it all out! I tried the Orange Barley last night; managed two sips before pouring it away. Far too sweet – tasted exactly like Orange Barley cough sweets though! I hold higher expectations for the ‘biscuit’ one! 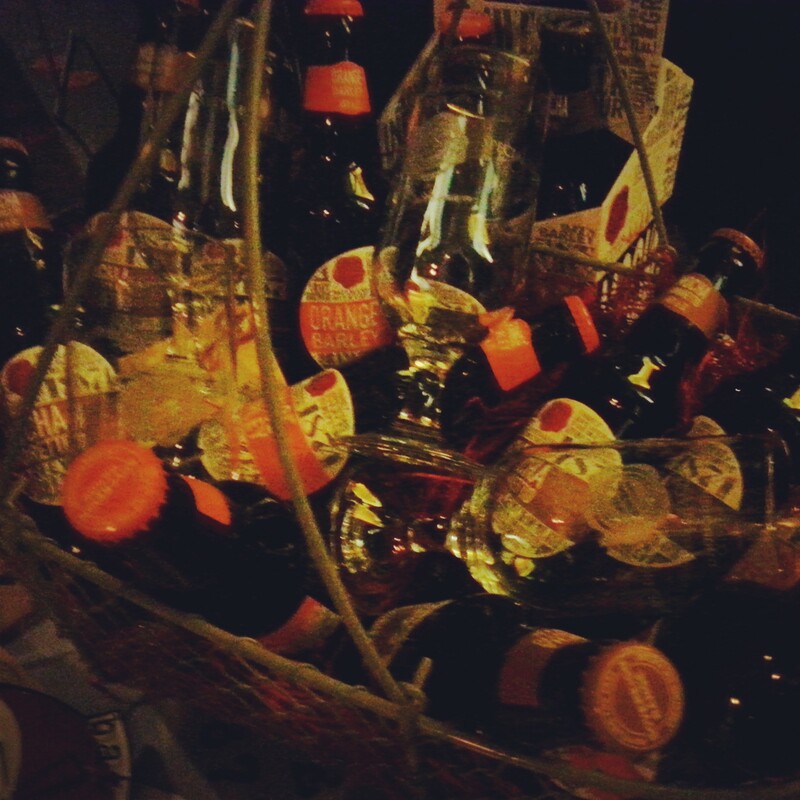 Oh God, the orange barley. Fanta was my immediate reaction. The others are all decent enough, but it depends on the consumer’s expectation. If you order it expecting a certain kind of beer that tastes a *bit* like mocha amaretto or hazelnut, you might be in for a shock. I’ll be genuinely astonished if the new pumpclip branding sticks. Surely, they’ll be getting an actual agency to do this for them all over again in a year. Previous Previous post: Golden Posts 2014?